Ashampoo Blog - MP3 - Blessing or curse for music? MP3 - Blessing or curse for music? Whenever I see my friend Frank kneel in front of his stereo system there's something cultish in the air. He demands absolute silence and concentration when he plays one of his songs. For hours, he can talk about speaker cables, capacitors and image widths. But if you wanted to silence him, all it would take is a single word: MP3. Then, his facial expression would reflect a little bit of pain, he'd be searching for the right words and let his shoulders fall down in resignation. Read on to learn why, to him, this format means the end of music while at the same time the beginning of a comprehensive music collection for many. When musicians began using computers more extensively, a race was on for both formats and developers. Two things were rare - disk space and fast internet connections. Anyone surfing the web with a 14.4 modem learned what Buddhist frugality was all about. If uncompressed, a song would take up about 10 MB of disk space for every minute. Who'd want to wait that long and (in the absence of unlimited plans) pay for every hour of online time? Files had to become smaller, the goal was maximum compression which in this context meant omitting song details. This is called lossy compression. During the end of the 80s and at the beginning of the 90s, researchers attempted to filter out or dampen inaudible frequencies (data) to shrink file sizes without destroying the overall sound impression. Psychoacoustics experts began figuring out tonality perception in humans. Would humans still perceive the strings in the background once the trombones sounded or was it enough if the strings were only slightly hinted (saving space in the process)? How precisely did our hearing distinguish between tones and could inaudible frequencies simply be removed altogether? 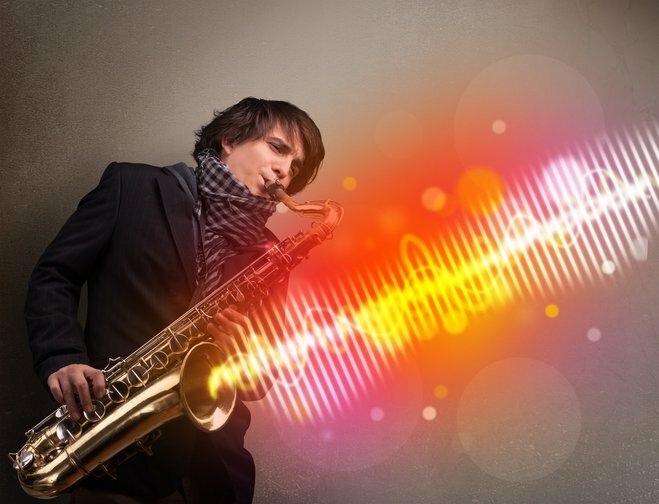 He blows the saxophone - how much of it do we really hear? To this end, several algorithms were developed to sample and simplify waveforms, removing anything deemed irrelevant by psychoacoustics experts. The higher the sampling rate (measured in kilobit per second) the more of the original data would be retained, ultimately leading to higher quality (but bigger!) files. MP3 supports sampling rates from a meager 8 kbps (horrible) up to 320 kbps (close to the original). A file sampled at 192 kbps is almost indistinguishable from the source material - yet it is 87% smaller. This was the ultimate goal of several competing format creators. MP3 was considered to have the best ratio between file size and sound quality and quickly became state of the art. Naturally, many big players initially rejected the format in favor of their own solutions and (surprise) to save licensing costs. The Fraunhofer Institute, the main developers behind the format, took an unusual route - by directly approaching customers to exert pressure on the music industry. 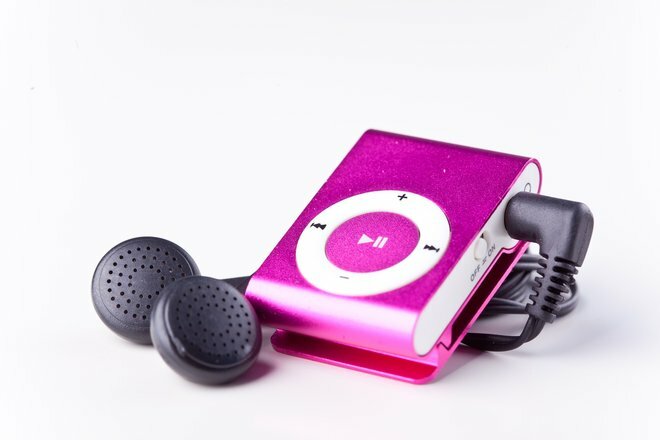 Once software encoders became freely available to consumers, MP3 took hold and forced the industry to adapt and create the first, mainly portable, MP3 players. Car radios, cellphones and many other device categories would soon follow. Is it really true that music now conforms to file formats? Today, many experts agree that MP3, though widespread, is no longer the best alternative. Lossless formats such as FLAC or Apple's ALAC support decent compression ratios without frequency omissions and AAC or OGG provide a superior size-quality ratio to MP3. But don't write off MP3 just yet. The algorithm is still being enhanced for better quality and support for current standards such as Dolby 5.1 . Maybe and with continued research, there can be peace between MP3 and audiophiles including my friend Frank even though he'd never admit to that. Our editorial staff will take a short break and be back on Monday. Please understand that it may take a little longer for your comments to get approved.